The development of language and literacy is at the heart of everything we do at Eliot Bank. We want our children to leave primary school as confident and skilled readers, writers, listeners and communicators. Emphasis on this starts in Nursery and continues right the way through to Year 6. A love of reading is encouraged and promoted throughout the school: every day, children are given time to enjoy books on their own or to hear stories. Each classroom has a reading area stocked with a whole range of fiction and non-fiction texts, which children can access throughout the day or borrow to take home. There is a real emphasis on the children being exposed to good quality texts from an early age. A love of reading is also fostered in activities and events such as World Book Day, author visits and ‘buddy reading’ where older children read with younger children. Starting in Reception, children read in small, guided groups with an adult, where the focus is on decoding and comprehension. Children at Eliot Bank learn to read through a mixture of individual, shared and guided reading sessions. The teaching of reading is personalised to all children’s needs and abilities and appropriate strategies are used to support next steps. A home reading scheme is in place for all year groups throughout the school: children bring home books each week. In Reception and the beginning of year 1, the Oxford Reading Tree Scheme is used to support reading. As the children become more proficient at reading through Key Stage 1, they are given opportunity to choose from a wider variety of books, including high-quality picture books and short novels. Reading journals are provided to children and include a variety of activities to support the love of books at home. These journals also provide parents with a means of communicating their child’s reading progress and habits at home with the class teacher. Children receive short, fun daily sessions to develop their phonic knowledge. From EYFS to Key Stage 1, children are supported with their decoding skills for reading and writing in daily, differentiated phonic sessions. At Eliot Bank, we use the synthetic phonics programme, Letters and Sounds to support our planning and delivery of lessons. We also link handwriting and spellings to our daily phonics teaching. Letters and Sounds is also used to support lessons for children in year 3 and 4 who require extra support. Intervention lessons, for those who need additional support to get back on track, include Dancing Bears, Soundswrite and Lexia. Writing is taught through Talk for Writing: an approach which develops speaking, listening, vocabulary and grammar as well as children’s creative writing skills. It has had a huge impact on our children’s literacy skills; their ability to be successful storytellers and the quality of their writing is astounding because of it. The method focuses on children learning quality texts off by heart so that rich language and structure is embedded and built upon in every year group. A range of fiction and non-fiction genres are taught throughout the year and writing toolkits are established so that children are aware of the features of different text types. We are currently developing our teaching of spelling throughout the school and children are taught to spell through the use of a range of strategies, receiving at least three, short taught sessions a week. We have a handwriting policy which is based on the cursive script. This is also taught in short sessions 2 – 3 times a week. Once children have mastered the joins, handwriting is linked to spellings. If you would like to encourage your child to do some extra reading at home suggest they have a look in our book corner for some inspiration as to what book they could read next. 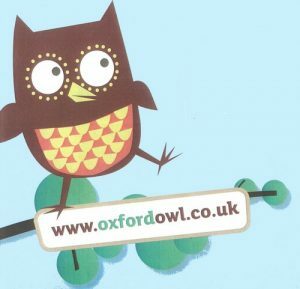 If your child is in Reception to Year 2 why not join Oxford Owl. It is packed with expert advice, top tips and activity ideas so you can help your child with reading. You can even download free e-books. To take advantage of this great resource simply create a free account via the join us link from the Oxford Owl homepage.